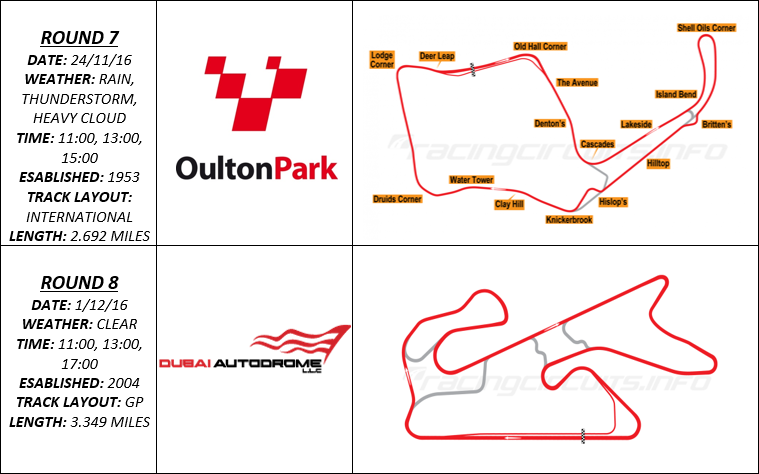 Welcome to the DSRL Formula Gulf 1000 Championship. 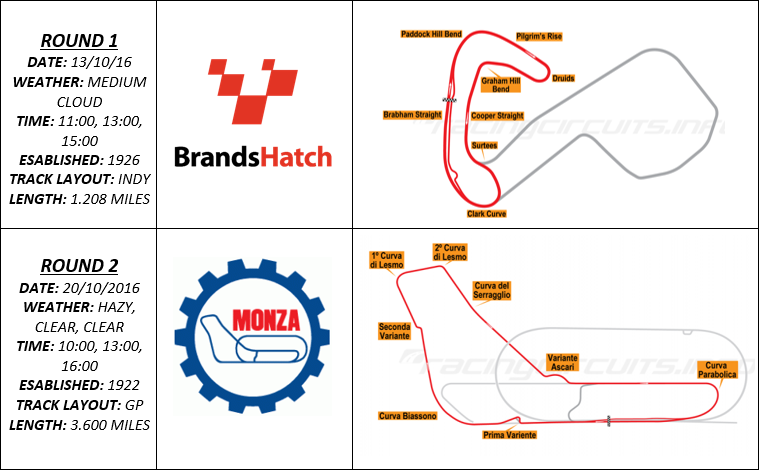 In this series we will visit a number of british circuits as well as some iconic circuits from around the world using the Formula Gulf 1000 car. The field will feature only space for 16 drivers so get your place early. Over the course of the 8 week championship drivers will compete in three rounds per event making the racing fast and furious throughout the series. Each lasting around 15 minutes per race, covering a distance of around 25 miles. 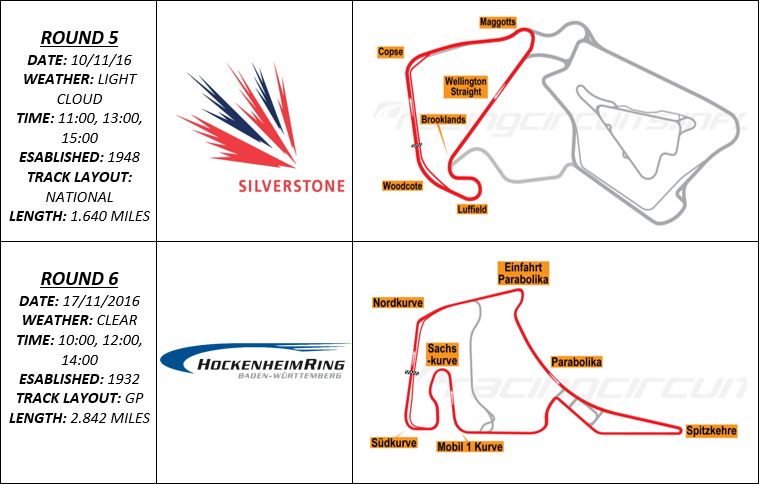 To make this series very close indeed, the setups will be locked to default with tyre wear and fuel usage set to off. This will aid the quest for tight, close racing without anyone gaining huge time over the field via a setup. Registrations will open soon and livery selection will be open. There will be no teams championship as their will be only 16 drivers. So its every man for themselves. For the first time in the history of the DSRL, a prize for the winner of the championship will be handed out. This will be a £5 Xbox Live Gift Card for the winner to spend on what they please. The championship will be starting on Thursday 6th September every Thursday night at 8pm BST. go to thedsrl .com for more info. Last edited by aidtheace; 26-09-2016 at 13:20. Thanks.Looks like a nice range. 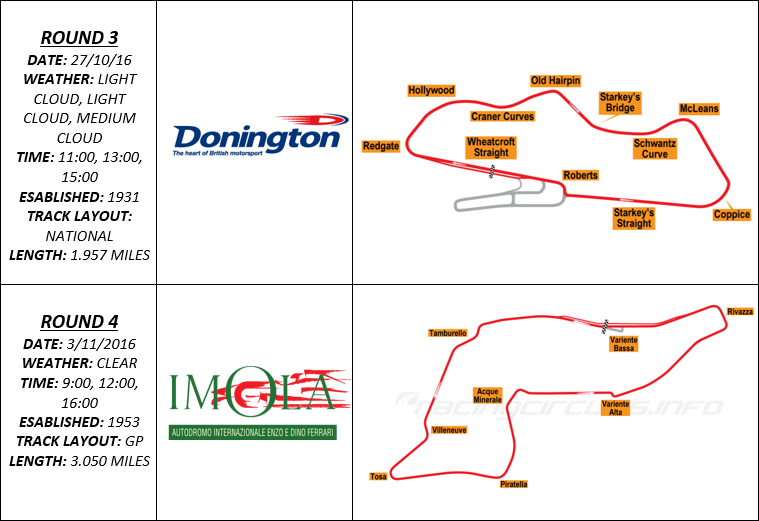 The first race of the season starts on the 13th October 2016, However we have a pre-season race on the 6th October and would love it for anyone to come and try it out. Sign ups are open and you dont have to commit to racing every event. Hope to see you there!